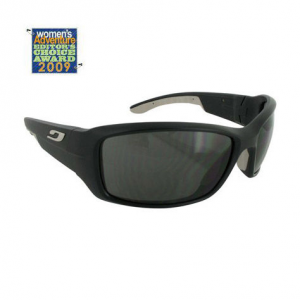 Description Of Julbo Run Sunglasses - Shiny Black Zebra AntiThese versatile glacier glasses offers exceptional protection on climbs as well as other high-performance activities. Unique side shields block light above and below the eyes, as well as to the sides, for optimum coverage can be removed with a snap as needed. Straight temples allow easy onoff while wearing a helmet or hat with rubber inserts for comfort and support Includes a protective, padded zippered case that can be attached to waistbelt or backpack shoulder straps. 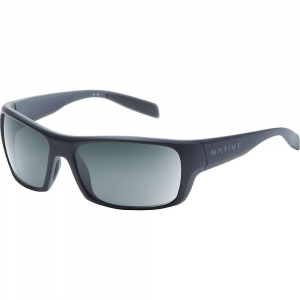 Includes a retainer strap for securing glasses around your neck and a contrasting pair of side shields.Developed with the input of professional mountain bike riders, Run is light and aerodynamic with the strength to handle your speed on the trail. FeaturesHelmet-friendly fits comfortably under any helmet.Coverage wide lenses and curved frames for maximum visibility.Hold and positioning shock absorbent temples and nose pads that can handle the technicalities of any trail. The trail holds no mysteries when faced with the Julbo Run sunglasses, boasting wide, anti-fog lenses, a curved frame, and shock resistant nose and temple pieces. Developed with the input of professional runners and mountain bike riders, the Julbo Run is light and aerodynamic - with the strength to handle your speed on the trail.This product will be shipped directly from Julbo and will leave their warehouse in 2-3 business days. Eligible for UPS ground shipping only. Zebra photochromatic lens adjusts from category 2 to category 4 protection depending on sunlight intensity. 100% UV protection, (A, B, and C). Anti-mist treatment prevents condensation and maximizes lens lifetime. Wrap around shape for good visions spectrum and protection. Grip nose, with a supple shock absorbent insert. 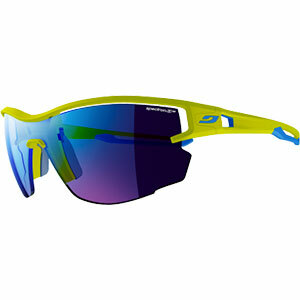 Curved wrapping temples for better hold with high impact activity. Supple, sculpted inserts at the stems end for excellent hold without sticking to hair. 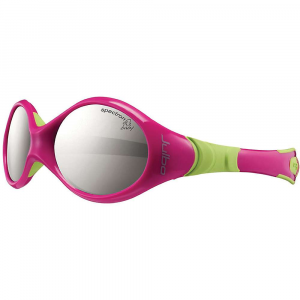 The Julbo Run is not available from the stores we monitor. It was last seen February 7, 2019	at REI.